"Small cheer and great welcome make a merry feast!" You and your guests provide the cheer, and we at the Mansions on Fifth Hotel by Priory Hospitality will provide the great welcome! And along with that embrace, you can also be confident that your banquet, party, shower or other celebration will be elegant, well-served and delicious. Why the Mansions on Fifth Hotel? Unique Space: With its soaring walnut beamed ceiling, intricate woodwork, and massive leaded and stained glass windows, the Mansions’ Grand Hall is like no place in Pittsburgh, or, in fact, in the world. It’s a one-of-a-kind space which transports you back to an elegant time! Surrounded by Beautiful Works of Art: Mansions on Fifth is proud to partner with Galerie Werner to display an ever changing collection of 19th century American and European paintings and sculptures. These works are museum worthy, and in our event spaces for you and your guests to enjoy (and purchase if you like!). The Food: Executive chefs Pete Phillipy and Michael Henney have worked with the Priory Hospitality Group since 1999, and have turned out innovative and delicious cuisine from fresh ingredients to rave reviews for a collective 60 years. Their attention to detail and quality is unmatched in the city! 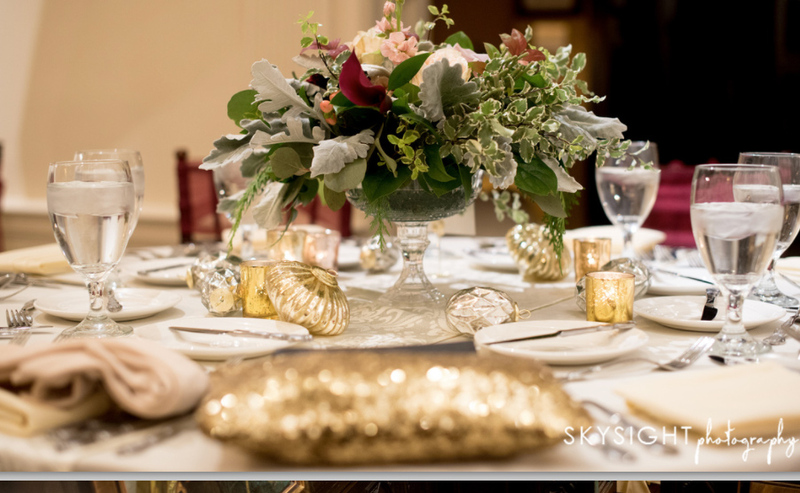 Elegant Settings: The Mansions utilizes the finest in table linens, flatware, china and glassware from the United Kingdom and France. In the Heart of Shadyside: Minutes from major universities, medical centers and research hubs, the Mansions is in one of Pittsburgh’s most diverse and beautiful settings. Stand out from the crowd and give your guests a truly elegant and unique experience. We hope to hear from you! The Mansions’ Parlor and Dining Room offer excellent spaces for bridal and baby showers. The Parlor is bright and airy, with tall windows catching the sun as it crosses the horizon. The Dining Room is cozy and club-like, with carved wood paneled walls and a remarkable molded plaster ceiling. Each room, depending on the setting, can hold between 20 and 40 guests. You have a wide variety of food and beverage choices, each prepared just for you by our chefs. The Mansions’ plays host to a broad variety of business and social events, including many functions for the various departments of nearby universities, hospitals, and technology firms. Whether your event is a business dinner, cocktail party, charity event, Holiday party, bridal or baby shower, reunion, retirement dinner, charity ball, bar and bat mitzvahs, or any other social or professional gathering under the sun, it is the mission of the Mansions on Fifth’s owners, managers and staff to ensure that each and every moment is care-free, fun and memorable. We offer wide-ranging menu options, from elegant sit down dinners to creative and fun stations to tasty and inventive passed hors d’oeuvres. And while the menus below offer a glimpse of what the Mansions’ offer, if you would like to custom build a menu, we are happy to do that too! Look at the Mansions as a canvas with you as the painter – create the art work as you would like it! Inspiration is hard enough to come by, so why not maximize your odds by holding your business meeting or retreat at the Mansions on Fifth Hotel? With its historic dining room and parlor, the Mansions has breathtaking spaces, decorated with museum quality works of 19th century American and European art, which will get the creative juices flowing. 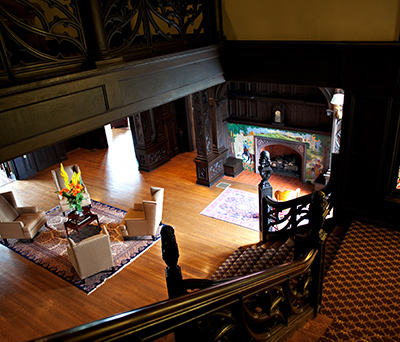 The Mansions Parlor and Dining Room can accommodate meetings for up to 30 attendees, while there is also space around the Mansions, including in the Amberson House, for break out sessions. Full food and beverage service is available. With the attentive but arms-length service provided by the Mansions’ seasoned staff, you and your guests will leave feeling well served but not bothered.